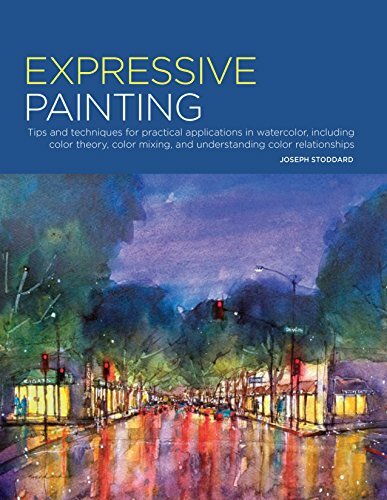 Expressive Painting is an apt title for this 128-page paperback. I was actually drawn to this book because of the beautiful splashy painting on the cover by Joseph Stoddard. 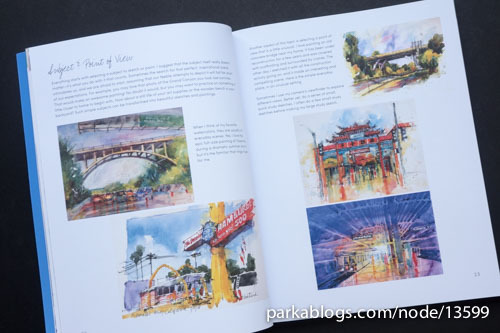 There are many more such wonderful paintings featured in the book. 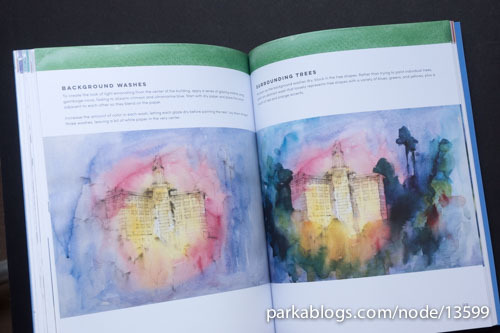 This book is a collection of watercolour tips and techniques. 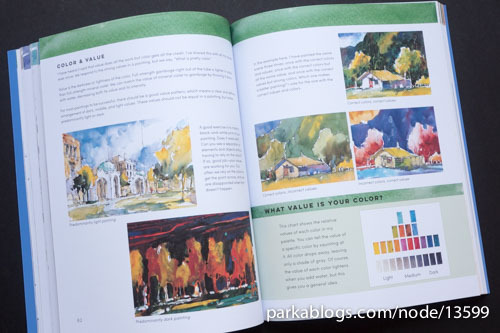 This book does cover the basics such as colour theory, painting techniques, composition, and materials, but it's not a structured watercolour tutorial course. 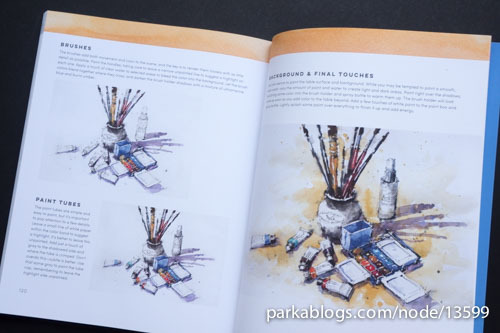 This book works best as a compliment to other watercolour books. Watercolour techniques are pretty standard but what's refreshing is to see how different artists apply those techhniques in their own style. 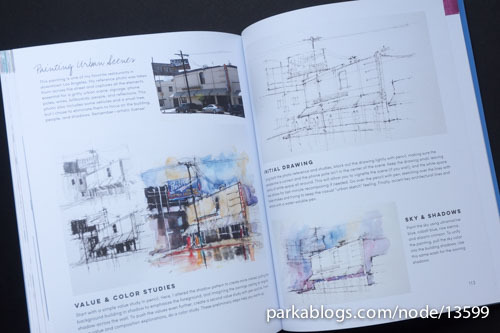 Throughout the whole book Stoddard would give his own take on the various techniques, on approach and on how to think of subjects to paint. And that's what I really like about this book. 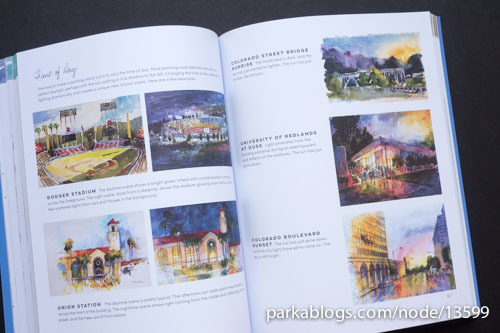 The first half of the book talks about techniques and the second half features a gallery of various subjects painted by Stoddard. 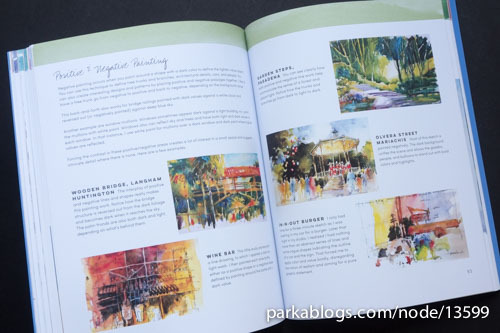 You'll get to see many lovely paintings here. 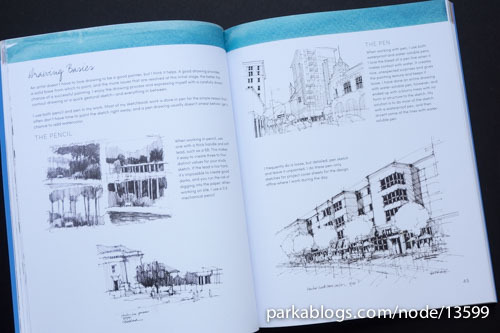 The handful of sketches included. look great too. 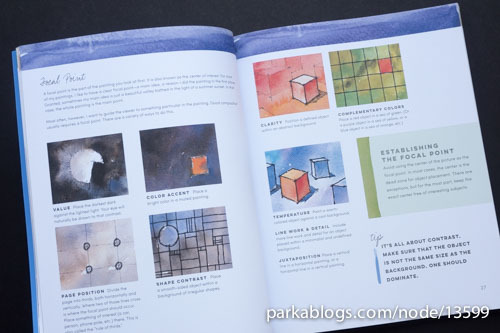 And the last few pages features several short tutorials that you can follow along. Overall, I find this book to be insightful and inspiring. This is a book that anyone can pick up at anytime for some inspiration, regardless of how many times you have gone through the pages. It's really worth the money.